You can build Remote Access VPN for your home network. Then you can connect from outside to your home anywhere, anytime. Nowadays every home electric devices such as televisions, HDTV recorders, and video games are connected to the home network. Moreover, home security devices and webcams are connected to the home network. Of course you might have a home server as a storage of video or music files. You can access to all of these home devices from outside by using SoftEther VPN. 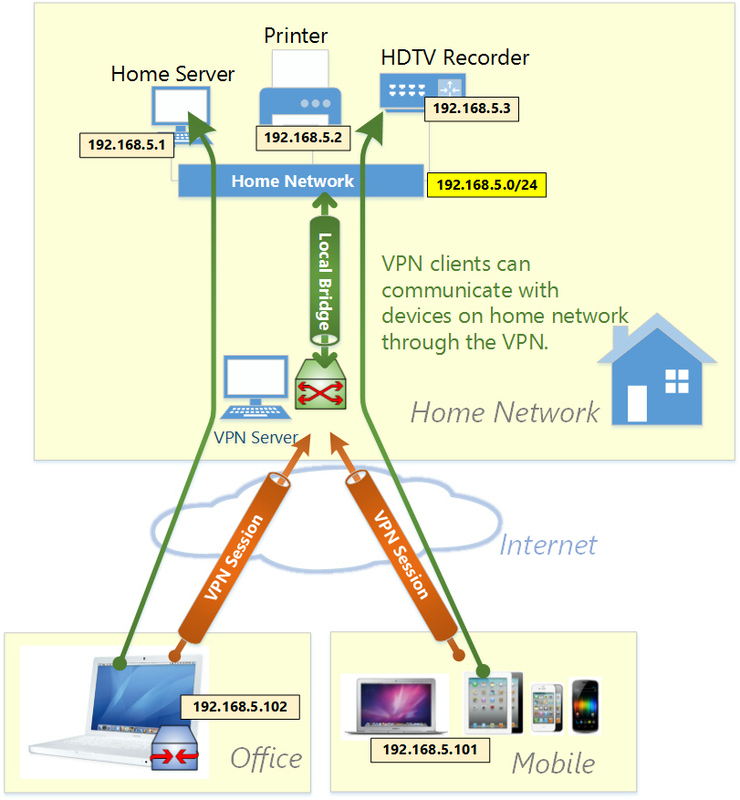 The steps to build a home remote access network are exactly same to "Remote Access VPN to LAN" . You can also enable iPhone and Android compatible functions to accept remote access VPN dial-in from your iPhone or Android. Enjoy SoftEther VPN to enrich your personal digital life with home network.